Having read Neuromancer and enjoyed it – once I got into the world with all the new terminology – I was looking forward to The Gernsback Continuum. I’ll be honest: I come away a bit confused. 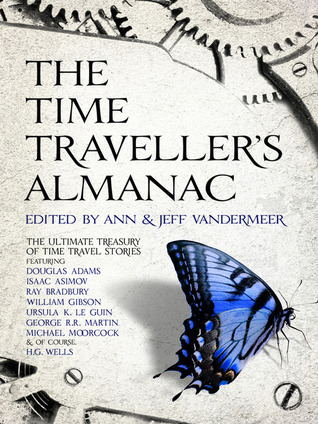 Firstly, I’m not sure if this story was ever intended to be considered time travel (I read it in The Time Traveller’s Almanac), but time travel it is not. Alternate reality, sure, but not time travel. Secondly, it is very art deco, particularly around the 1930s/40s, so if you don’t know your stuff from back then, then you’re clueless (like me) through most of the story. Aside from that, it’s an intriguing story. A photographer goes to London. He’s having a bad day – trying to take photos that don’t exist (I loved that imagery!) – when he’s introduced to a lady who’s gathering eclectic art/architecture/design from the 1930s/40s for a project. A mutual friend enlists his help and he returns to the West Coast to photograph the various items of interest. Somewhere along the way, he starts to see the futuristic world in real life. I can’t say I took away any deep thoughts or lasting images from this – although perhaps a 12-engined boomerang-shaped aircraft is one… and a mirage-city… oh, and the photograph that doesn’t exist.